I am trying to configure active directory module for sitecore. I installed the package for AD module and verified the various files that gets included in the sitecore. ERROR Active Directory existing checking exception: System.DirectoryServices.DirectoryServicesCOMException (0x8007052E): The user name or password is incorrect. ERROR The AD membership provider couldn't be initialized: The user name or password is incorrect. Message: The user name or password is incorrect. 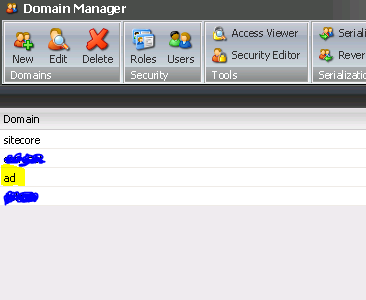 Make sure you provide a domain name for your user account in your membership.providers entry i.e. connectionUsername="domain\username" I ran into this exact problem recently; even though I could browse the LDAP tree in an external browser (Softerra's) without specifying a domain, Sitecore would not connect unless a domain was specified. I noticed you have a custom filter applied to the membership provider. My first debugging step would be to remove that custom filter and see if you start getting users back. It could be the filter is returning objects your user does not have access to. Otherwise, the existing comments around verifying user account permission are correct. The log message indicates a username/password issue. You can try to diagnose this by using a tool such as AD Explorer. Specify the credentials and connection data you are using and see if you can connect to the repository.